Socotra Island is one of the nature wonders of the world, an island known for its biodiversity and distinctive ecosystem. While hikers admire its stunningly beautiful mountain ranges, white sandy beaches and fabulous marine life attract divers and snorkelers. Socotra is located south east of Yemen in the Indian Ocean (see the map here). It lies 350 km from nearest coastal city in Yemen, al-Mukalla. The Socotra archipelago consists of the main island of Socotra, which covers an area of 3625 square kilometers, and other smaller islands that administratively belong to Socotra: Abudl Kuri, Samha and Darsa. For further information about Socotra you can visit the website of the Socotra Governance & Biodiversity Project. 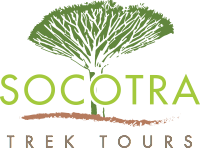 Socotra Trek Tours is a local tour operator managed by young Socotrian men, who—based on their local experiences—provide eco-tourism services to travelers, who visit the island individually or in groups. Socotra Trek Tours provides eco-tours in order to preserve the uniqueness of Socotra and its fragile ecological environment. All field guides, drivers, cooks and divers are experienced, well-trained and well-equipped. Visas can be processed now from Socotra in the immigration office in Hadiboh, you just send us the copy of your passport then we scan you the visa. 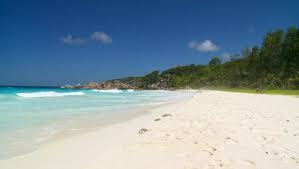 Yemenia Airways is operating weekly flights to Socotra, for more informations, click Flights.